Born in Cameroon living in The Netherlands, owner and director of designfair OBJECT in Rotterdam and the Amsterdam based platform BIG ART. 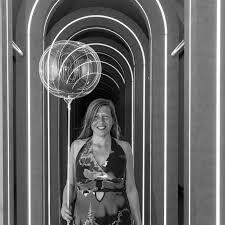 Anne works as a curator, writer and consultant in the creative as well as the commercial industries and wrote several publications about design, art, fashion, architecture and colour. She’s a guest tutor at art and design schools in the Netherlands and abroad, active in many boards, jury’s and advise committees and speaks regularly about what moves her in life.